Characterized by large volumes and complete luminosity due to the direct contact with the sea, the yacht designer Fulvio De Simoni, the stylist of the project, once again stresses the ‘family feeling’ concept that guided the stylistic choices of the new restyling. 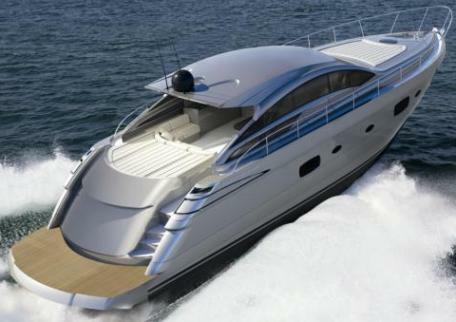 The slender superstructure with wide side windows and the choice of colour for the hull, white pearl, a distinctive feature for this new model, make the profile of the hull complete, in complete harmony with the styles of the modern conception of the Pershing. On the hull one can notice new wider square windows which allow a greater visibility of the outside. 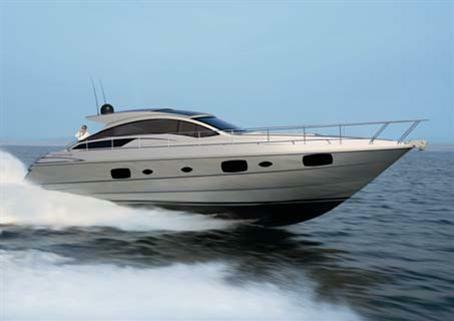 The boat has a double layout: the standard has 3 cabins, a full beam master cabin and two guest cabins, a VIP one at the stern and a guest cabin with twin beds at the starboard of the boat; the optional includes 2 cabins, the ship owner’s full beam cabin and the VIP cabin at the stern. Both versions have a crew cabin. The deck area is very comfortable and is distinguished by the attention given to the detail and the choice of materials, from the use of oak as the dominant essence to the choice of the ecru carpet for the flooring of the cabin and the dinette. The area occupied by the dinette features new painted finishings which give the interiors a contemporary imprint. Similarly, opaque finishings were used in the rest rooms. 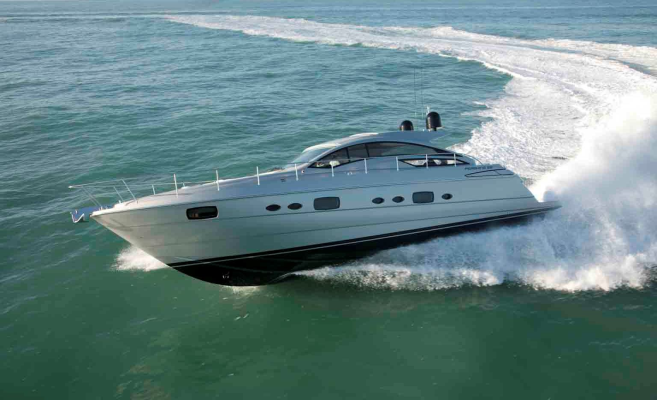 The boat, with an 18 meter long hull, reaches a maximum velocity of 48 knots and cruising velocity of 44 with two MAN engines of 1360 mhp each and surface propellers. 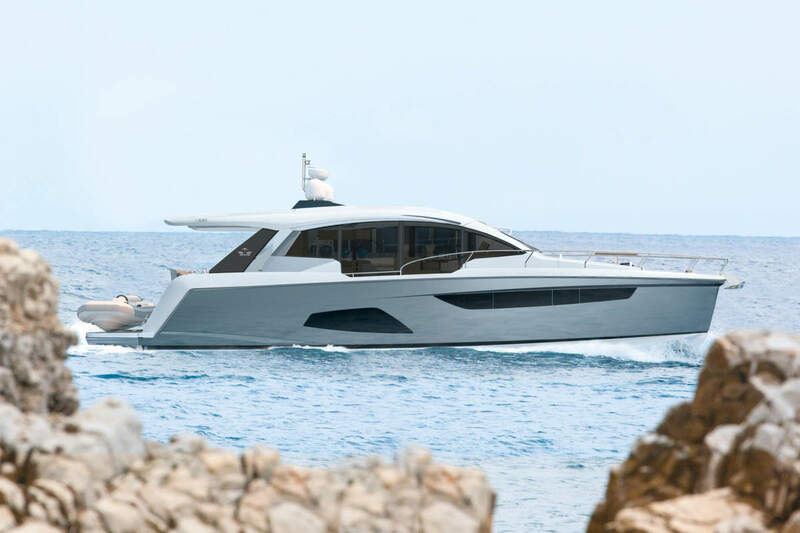 The continued new direction from Pershing is attracting much deserved attention and performance is the central focus of the Italian builder and its recent launches and the 58 continues this interesting trend.